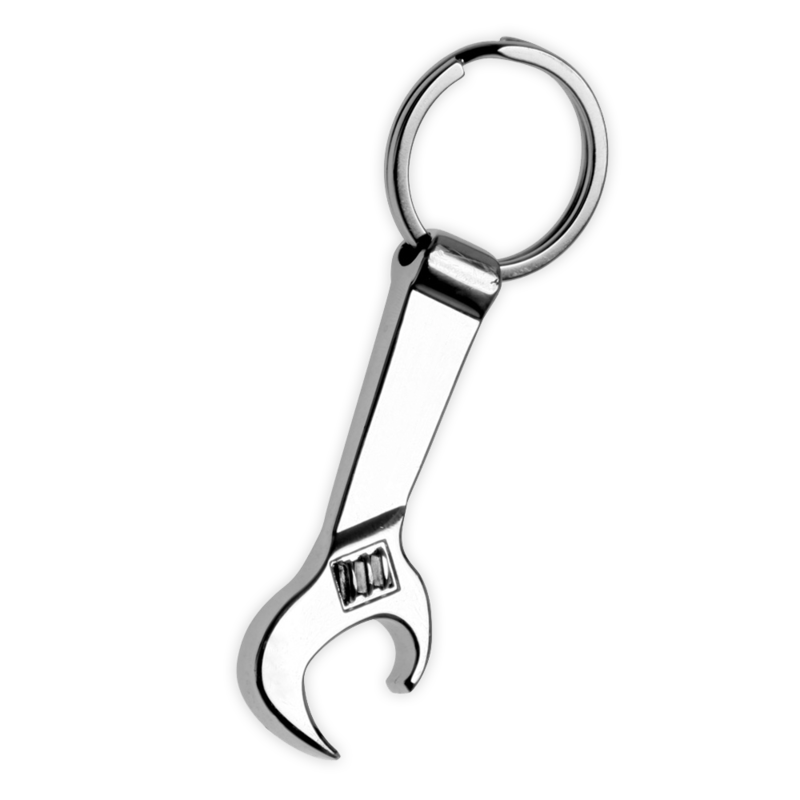 This keychain features a fun wrench design in a shiny metal body. It is the perfect item for a mechanic shop, construction company, part store and more! 3.5" W x .75" H"